Recently, I created a new product line distinct from my fine art work. I captured elemental scenery in the Greater New Orleans area, and created heirloom quality bookmarks as unique and usable mementoes that would interest local folks, and visitors. Unlike my fine art work these are unlimited copies, but each one is hand made. 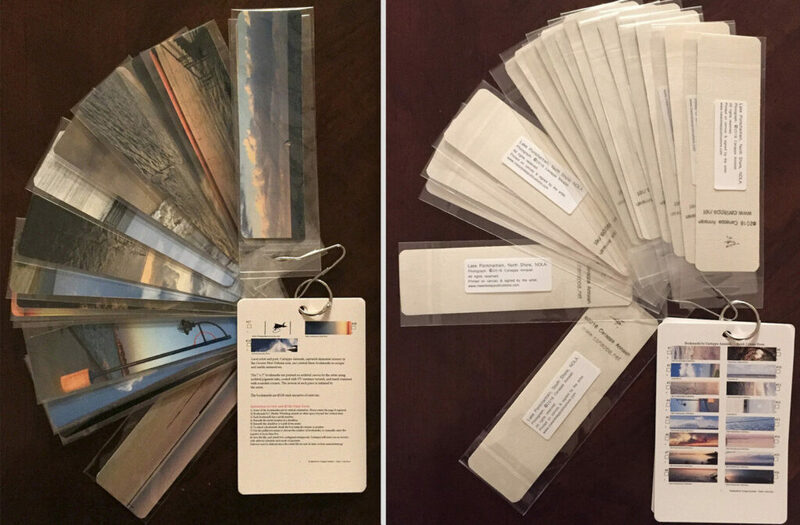 The 7 x 2” bookmarks are printed by me on thick, archival matte canvas, using archival pigment inks, coated with UV resistant varnish, and hand-trimmed with rounded corners. The reverse of each piece has my initial and seal. Each piece is in an individual, sealed, cellophane cover that can be hung for display purposes. I designed and produced the entire product. After a lengthy quality control and testing process (I give thanks here to my beta-testers), the first batch of 19 bookmarks as seen below is now on sale. Depending upon interest, I plan to periodically, refresh the product line. 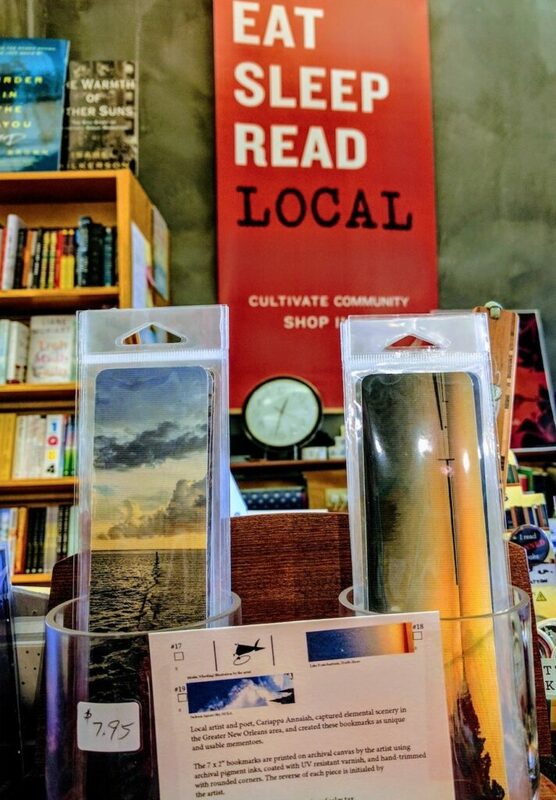 At present, the bookmarks are available exclusively at Octavia Books in New Orleans. Octavia Books is an independent, New Orleans bookstore serving book-lovers everywhere. In 2016 it was voted Best Locally Owned Bookstore by Gambit Weekly. The owners, Tom and Judith are strong supporters of local talent. Please visit the store on Octavia Street in Uptown, New Orleans, browse their eclectic book selection, purchase a book, and on the way out be sure to buy one or more of my unique, heirloom quality, canvas bookmarks! I have the bookmarks and use them regularly. Lovely productions. The scenes on them make you ponder, they appear like a painting, enhance the book reading experience and the bookmark is flexible. Great idea by an artist. Thanks Shoba! Happy that you enjoy the bookmarks. Deepa, yes! These canvas bookmarks are both functional, and hardy. Thank you! another good idea from the mind of c.